In 2014 I had the blessing of not seeing many awful films, and so compiling a list of the worst was not possible; making 2013 the last time I did such a thing - until now. Sadly, 2015 was home to several stinkers which tortured me with awful storytelling and terrible execution in the dark cinemas...so, allow me to vent more of my angst in this list of the very worst movies to grace the past 12 months. 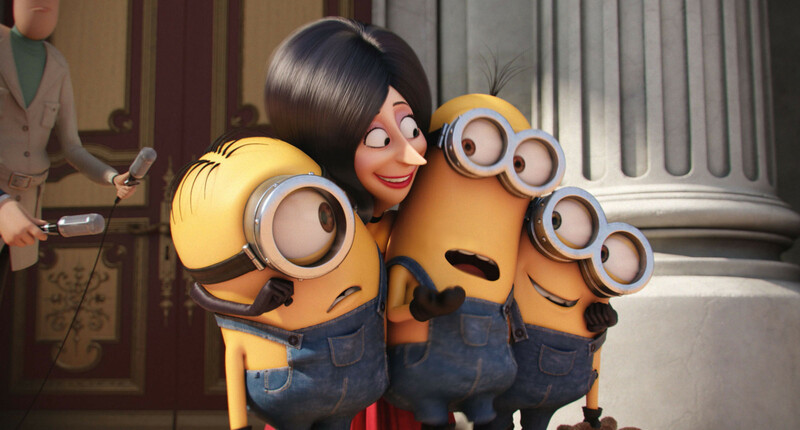 The iconic yellow Minions are some of the most treasured animated characters in recent years after their debut in 2010's Despicable Me, a charming film with a unique premise, and it's sequel Despicable Me 2, a lazier effort than relied more on the yellow things than telling an interesting story. Of course, as soon as the fanbase was formed, a movie of their own was inevitable - it has gone on to become one of the highest grossing animated films to date, with over $1.1 billion in revenue. You can tell from the get go that the filmmakers really struggled to derive a plot for the film, as the premise seems like a brief episodic idea that's been awkwardly strength to feature length. The main human star is Sandra Bullock as Scarlett Overkill, who admittedly does give a charming and funny performance, in what is easily the most likeable character in the film. The Minions often feel bereft of purpose as they wander around making idiotic noises and performing generic slapstick gags that are tired and equally dated. The animation is full of spirit as ever, but due to an inevitably shallow plot and an attempt at humour that dwindles into annoyance, Minions fails to justify why these yellow sidekicks should have a movie of their own outside of obvious monetary gain. 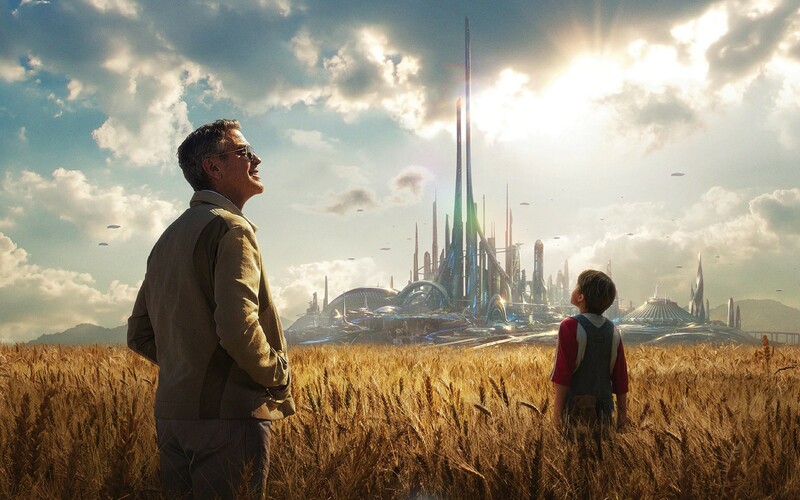 A highly pretentious and confusing film from director Brad Bird, Tomorrowland strives to be an original and unique sci-fi family experience, but ultimately ends up being too messy and poorly realised for it's own good. Bird derived a story from the Disneyland themed area of the same name, which sees protagonists Casey Newton (Britt Robertson) and Frank Walker (George Clooney) in their adventures within another dimension that directly influences the events of our own. It's a real shame that such a promising setup went to waste, but the further the story goes on, the more vague and ridiculous it becomes. Nothing makes sense, and towards the climax, any attempt to develop things further is tossed aside to focus on generic action in a desperate attempt to inject some excitement into our bored mindsets. Bird wanted to tell a unique story, but it seems like the film would only make sense to himself - he fails to convey the complexities within his tale to us, so the final result is a film that's visually dazzling yet narratively nonsensical. This is likely a choice that will offend many...but I'm sorry, this film really sucked. Poor pacing, a weak villain, and a narrative that's overstuffed and poorly drafted. I actually liked the sound of this film initially, thanks to an interesting cast and Josh Trank as director, who seemed apt for the job after his indie superhero flick Chronicle impressed audiences globally back in 2011. However, upon release, negative reviews poured their way in faster than light itself, and box office results were awful to say the least. 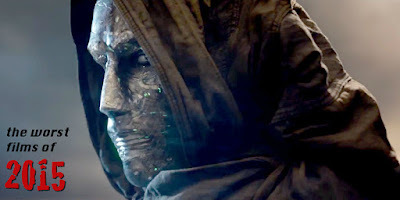 Fantastic Four faced numerous struggles during it's lengthy production, namely Trank communicating poorly with the cast and crew and causing serious damages to the studio rented property. Who knows if this is legit, but as I've said before, we can easily see that something went horribly wrong. Fantastic Four is a dull, depressing, and unnecessarily dark addition to the superhero genre, with a distinct lack of excitement and almost no development of it's main characters. It takes ages for them to gain their powers, and then things rush along afterward at a pace so brutal that we get no time to acknowledge the changes in their lives and the world around them. 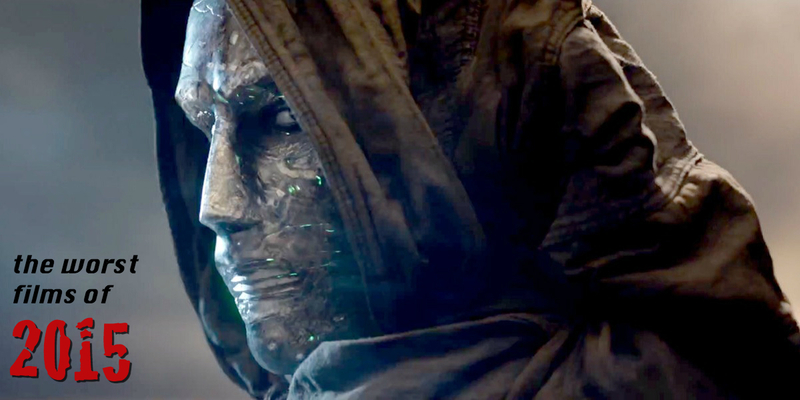 Time jumps allow filmmakers to bypass any meaningful development and exposition, and while Toby Kebbell gives it his all as villain Doctor Doom, who does have a cool design, the character is so weak that his talent ultimately goes to waste. Outside of a great cast and impressive visual effects, there are simply no redeeming factors in this dramatically missed opportunity. Guess it's time for another reboot...try again guys. I didn't expect much from this remake of the 1982 classic - perhaps just a dull horror flick, which I had the blessing of having free tickets for. However, after less than an hour of viewing, it becomes apparent that this is one of the worst horror movies to grace the film industry in decades. Sam Rockwell stars as Eric Bowen, whose family have moved house after facing financial struggles. Of course, the house is haunted by mysterious spirits of an eerie background, which puts the family's future at stake. A horror movie needs to be scary for a start and, to put it lightly, this film simply isn't. Not one scene in this miserable pile of rubbish induces any sort of fear, and in fact unintentional laughs are far more common. Even the characters give up taking this nonsense seriously towards the end, not caring about situations that should really traumatise them emotionally, and acting out the cheesy climax as if the film is a parody of the genre. It's certainly one of the worst films I've seen in a long time, and perhaps the worst "horror" I've ever seen in my life. We'll go along with more positivity with my favourites of 2015 and most anticipated for 2016 very soon!